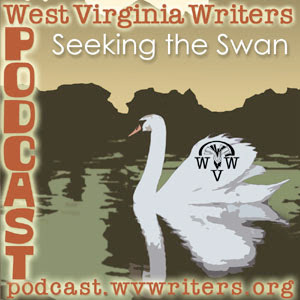 After three weeks away, we're back with Episode 39, a recorded live reading of some of the authors featured in our anthology Seeking the Swan as produced at Taylor Books in Charleston. This was the second of three events West Virginia Writers put together for Charleston's FestivAll 2010. Included are Geoff Fuller, Wilma Acree, Edwinna Pendarvis, Laura Treacy Bentley, and Lywellyn McKernan. Our thanks go out to Taylor Books for inviting us to put this reading together. It's a great store, located on Capitol Street in downtown Charleston. If you're in the area, please stop in and feel free to purchase a copy of Seeking the Swan from them.